My last blog entry of 2010 and I have chosen wisely. The title "Catching Up" of the above painting seems to have been suitable for my daily life from January to December 2010. I have constantly been on the go and aiming to catch up at times. I look back and cannot believe how I have managed to achieve so much in one year or juggled my time to accomplish what I have. I started 2010 working on a cottage which I have now moved into. So behind the scenes when everyone assumed I was working on exhibitions or my book I was also planning and designing a home. We have just spent a magical first Christmas in our cottage and all the work involved has been so worthwhile. It is a home with the feeling of warmth the minute you walk in through the entrance. It welcomes you and begs you to stay. Just like a good painting or a true friendship. In life we often race from one day to the next, or one task to the next and even one visit to the next with friends or family. Rarely taking the time to really enjoy or savour a single minute. 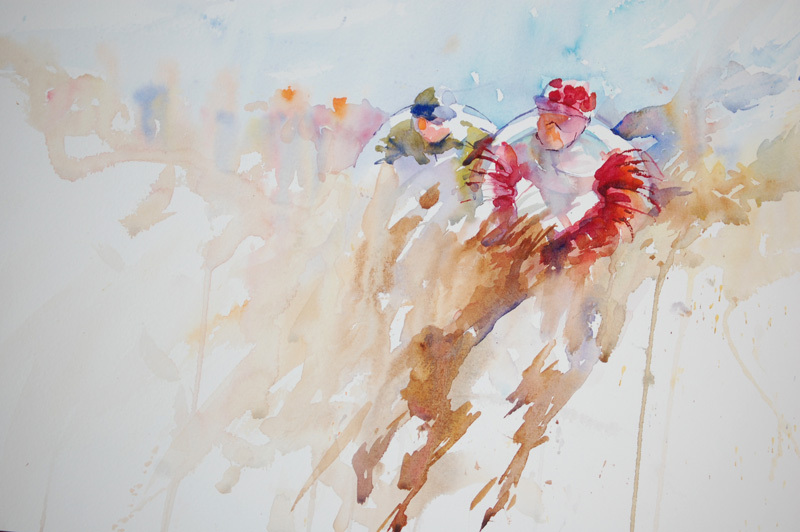 Whilst painting so many subjects over the last twelve months nothing has made me look at life more so than my horse racing scenes which are now becoming sought after and popular by collectors. I feel them come alive when I move my brush. Each colour makes an impact only by the colour its is placed next to. As are our lives enriched by the people in them. When I come towards the end of a horse racing scene my brushstrokes quicken and my heart races as I feel the horses and riders moving towards me. There is a heady excitement of who is going to win or be in the lead. And with one final touch it is over. The piece is complete and ready to leave me. The journey in creation was magic. Each minute while I was in tune with the scene was magic. These feelings of being so alive I never want to lose. The joy of holding my brush is a privilege I never take for granted. As with my family, loved ones and friends.The simple woodland walk with my eldest son taking photographs this Christmas,the hilarious laughter with my youngest son over our cat making wierd squeaking noises whilst watching birds through a window were minutes I will treasure. Little things like a hug and hearing the word "Mum" touch my heart in a way I will probably never mention out loud. No matter how hard I work, or how often I paint, or how many achievements I accomplish or dreams I see come true,my life is only rich because I love and I am loved. This emotion I place in my work. On New Years Eve I would like you to take a minute and allow yourself time to close your eyes and make one small wish for yourself for 2011. Just one so that you start the next twelve months allowing yourself the luxury of time for you. Even if it is just the minute that you make the wish. And my wish is that your wish comes true. As I am already working on 2011 projects and research my next blog entry will be mid January. 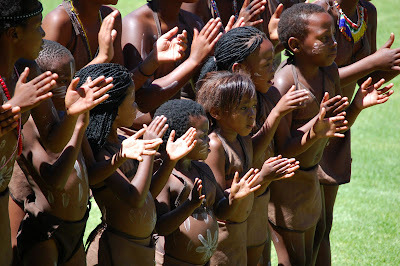 I am working on a new web site, have three charity events coming up and have been approached for 2011 exhibitions. I am thoroughly loving writing my second book which is excitingly. 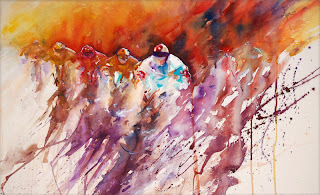 It is full of wonderful techniques which I hope will have everyone racing for their brushes trying very new ideas to capture a large variety of subjects. February 2011 is going to be a very exciting month and I hope to share news on this when I return to my blog next year. For now I am taking a short break and would like to thank everyone so much for being a part of my watercolour journey in so many ways. My life is like a painting. It's full of colour provided by incredible people,family and friends who enrich every moment. At this time of year there really is little time to share on a computer or add to a blog but I can't let today, Christmas Eve, pass without wishing everyone in my life a very Happy Christmas. 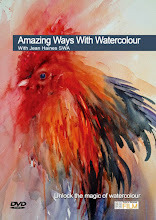 I owe so many thank yous that it is impossible to list them all but I do thank everyone for being a huge part of my watercolour journey and that gratitude is aimed towards everyone from my publisher to those who contact me by email or reply to a post here. Each message means the world to me. I hope 2011 is a year full of wonder, happy memories and special occasions for you. I hope anytimes of sadness pass quickly and that your life holds more " up " moments than " downs"
I hope you are always surrounded by positive energy and those who genuinely care about you. I hope you are blessed with much love in so many ways. And I hope you are touched with the gift of giving to others in ways that make a difference.The smallest of smiles to a stranger in need goes a very long way. I am not sure how, or when it happened because one minute I was painting for a few exhibitions a year and taking a small number of workshops. 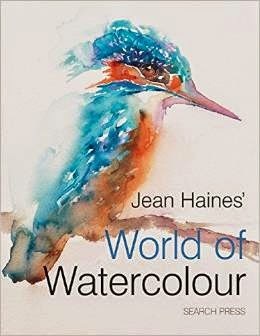 Now I find requests continually to show my watercolour collections in a large number of galleries here in UK and abroad. My Spring 2011 workshops are already fully booked with a waiting list for any cancellations and as the Autumn Dates for sessions in 2011 are yet to be announced excitement is building as to what these may be and when they will take place. I have trips already planned for workshops abroad next year and wonderful invitations to hold workshops in exciting locations in 2012. This is the year my next book will be launched and I am already trying to contain my excitement over the occasion. I will also be on the judging panels for several major art events and have recieved invitations to judge international exhibitions. In a way my life seems very surreal. I once had a dream to write a book. 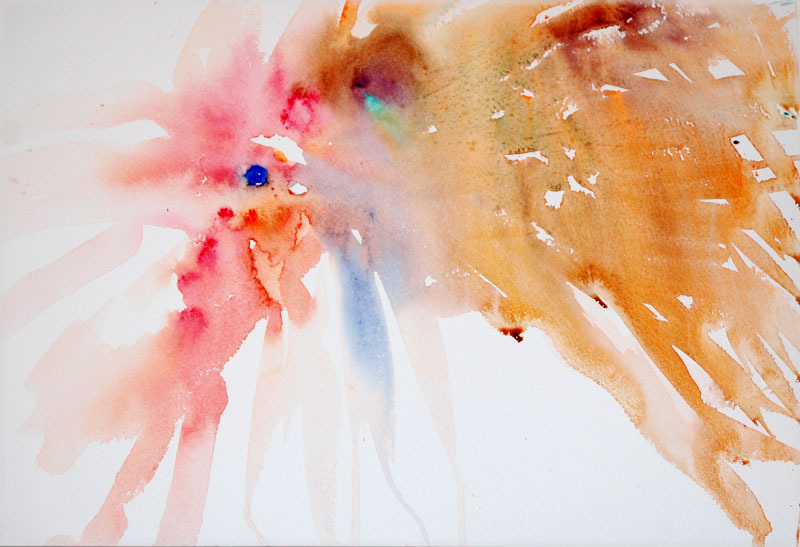 I hold a passion for watercolour and simply want to share the heady feeling of excitement at pigment interaction. I have been inspired all of my life from a child to this minute by artists who are far greater than I will ever be. My dreams have come true in ways I never imagined. And for this reason my focus sincerely now wants to be on helping others see their dreams come true. Whatever you are wishing for I hope you realise your dreams in 2011. Have a wonderful Christmas and the Happiest of New Years! Everyone who knows me will be aware I have a phobia about having my photo taken. Or at least I used to! Whenever a camera appeared I would normally duck, bow my head or avoid eye contact. I have absolutely no idea why this is so. But this year during workshops, exhibitions, meetings and fabulous projects I have found myself continually in locations and situations where avoiding a camera would be impossible. 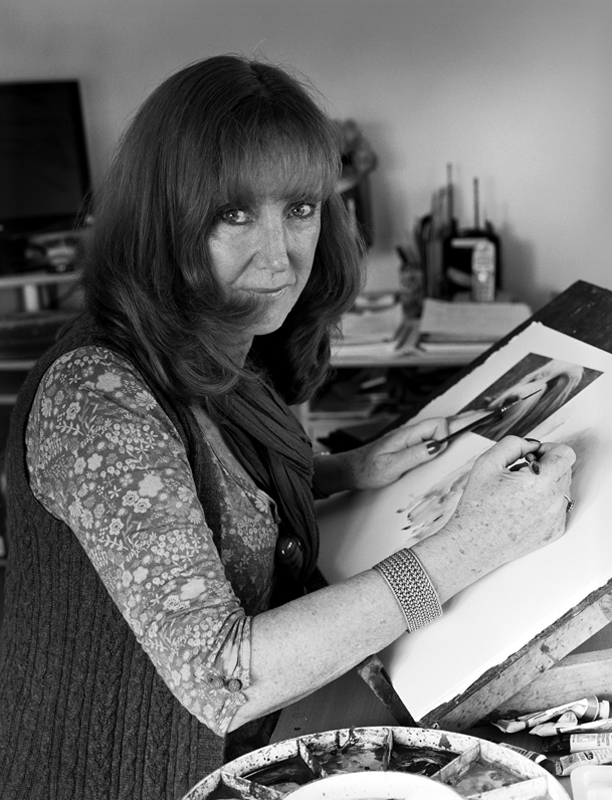 For example the photograph of the "artist" needed to be arranged for the inside cover of my book and it's launch promotion. I owe Gavin a huge thank you for this shot. He helped me relax and laugh while it was taken. Then there have been workshops in UK and abroad where I have been featured in magazines or agreed to pose with artists attending my sessions. And of course now there is a DVD to accompany my book which had my many friends laughingly point out to me beforehand that you can't actually create a DVD without actually being seen in one! Well I managed that feat but hoped everyone would focus on what my hands would be doing rather than me! It's been a magical year. So many wonderful things have kept happening, one directly after the other. So when I recieved a phone call asking me if I would mind having my photograph taken for a book on women who work from home I willingly said yes. Maybe my camera phobia is now becoming a thing of the past. Mij came to my studio for the photography shoot and I quickly realized this would be no ordinary session. Mij was working with a very old camera on a tripod taking shots from under a large black cape. She was seeing her subject upside down and using plates to capture her images. For each shot I had to hold a pose and look at the camera. How easy digital modern photography seems compared to years ago. Now I understand why the old black and white photographs of people sometimes had them looking so serious and definitely rigid waiting for the moment when they can move! But Mij seemed to capture softness in her work that I am so impressed with. Emotion and personality also seem to come across strongly in her final results. We are two artists both striving to get the best out of what we do and love. Both choosing art forms to portray what we feel and see. Telling a story to the viewer of what we have aimed to capture. I have eagerly waited to see the images of the session. Mij has kindly forwarded this shot for me and agreed for me to share it. I was writing a feature at the time and working on a painting of Bailey,trying out ideas for colour and composition. Amazingly at times I happily forgot a photographer was even in the studio until I was told to look at the camera. I am seated on this initial study before working at the easel where I would normally stand and move freely with my larger brushstrokes. To have this kind of experience makes me feel so happy in my chosen career. I meet so many interesting people and consistently discover days that leave me feeling absolutely refreshed. And I think I have finally stopped being worried about a camera! The above painting is part of a Christmas display in "The Frame" Gallery in Odiham, Hampshire To me this painting really has so much to say. Not just about Christmas but life also. And many artists will understand my next words because they are very true. As a child we are so innocent.We live with our hearts full of hope and excitement. We have the knowledge that exciting things may really happen tomorrow or that magical dreams can come true. 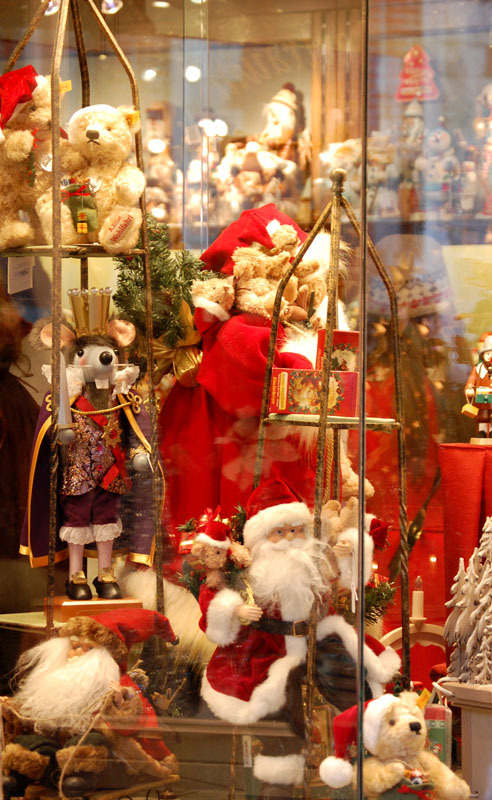 We believe a jolly Santa may bring us all we wish for on Christmas Day and with that innocence we choose beforehand gifts we believe will make us happy. When we grow up over the years we change so dramatically. That little child in a classroom when told to paint a cat or face will do so without hesitation. They believe they can paint anything at all. Just because they can! 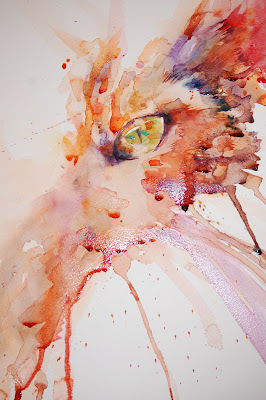 Suggest to an adult in a watercolour workshop that they should paint a cat or any other subject for that matter and they will turn around and admit that they can't. They don't know they can't but they believe if they try they will fail. The child in the classroom hasn't stopped to consider this.They've just had a wonderful time painting. 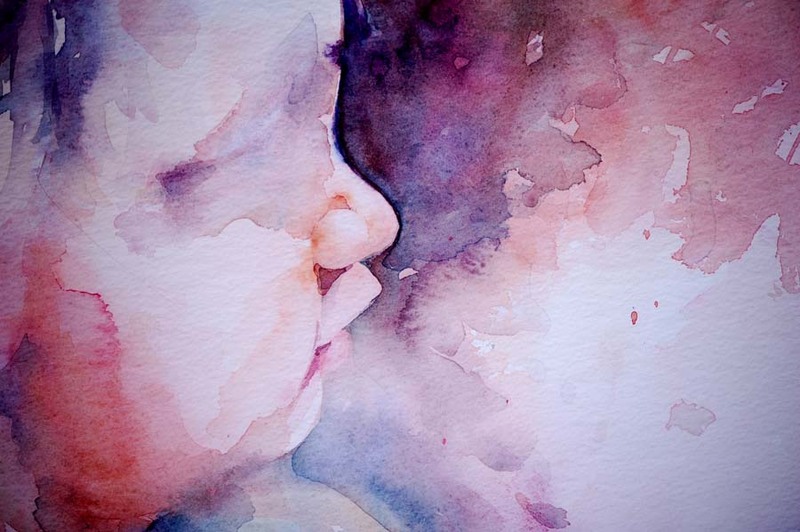 A child simply and innocently enjoys the creative process. No one has told them that whatever they create has to be a huge success and look exactly like the cat or person they are trying to capture.They just have fun and love the experience. Adults put so much pressure on their shoulders of always having to produce a masterpiece. Even though no one else expects them to! Many sadly seem to have lost that joy and sense of wonder in what appears through colour while we work. Or the feeling of pleasure to be gained by simply holding a brush. A childs masterpiece can end up in the bin or on a fridge door. An adult often feels throwing anything away is an absolute disaster. But wouldn't it be amazing if everyone could feel that sense of joy a child has? To hold it in their hearts and allow that freedom to flow into their results and lives? No pressure and no worries especially about the results when painting. Just a strong sense of passion for being able to create. Wouldn't it be great if everyone who feels they can't paint believed that they can and well. Wouldn't it be brilliant if every painting created brought a sense of achievement and so much pleasure that when others saw the finished piece they too felt happiness? Maybe I have just explained how I feel when I paint. Full of joy seeing colour flow across a blank piece of paper. Full of hope and excitement of what the results can be. 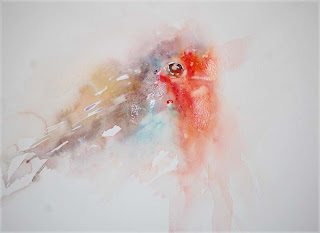 Full of wonder at paintings that leave me breathless in how pigments have interacted on paper. In fact painting on a blank piece of paper really is almost like opening a Christmas gift. You have no idea what is inside or of your finished result. But the sheer joy of looking forward with hope of it being something wonderful is an experienece that should never be missed. I wish all sense of doubt and disbelief could be thrown away with discarded wrapping paper. I wish the "gift" of believing positively could be in everyones soul this Christmas. 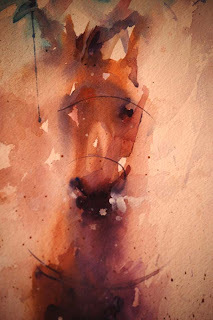 So that all artists from the beginner to the most estbablished of professionals paints from their hearts in 2011. It could be a wonderful year. The Christmas Exhibition continues until 31st December 2010 and includes paintings by wonderful artists including Rosa Sepple RI,SWA. The Christmas Exhibition continues until 31st December and a new painting has just been delivered. 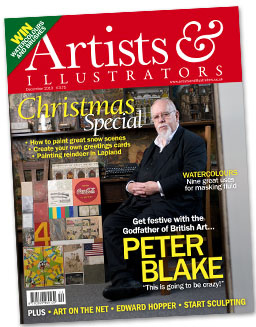 Artists include Sir Peter Blake RA and many other leading names in the art world. 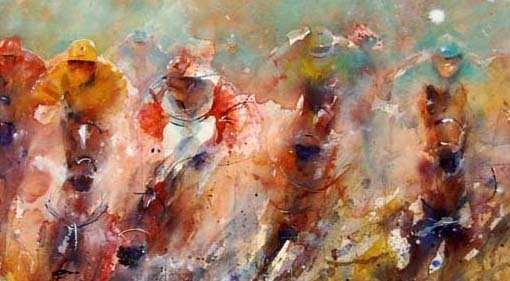 A new collection of watercolours has just been delievered to the Frame Gallery in Odiham for their successful Christmas Exhibition which closes on 31st December. Artists include Paul Banning RI and many other leading local artists. 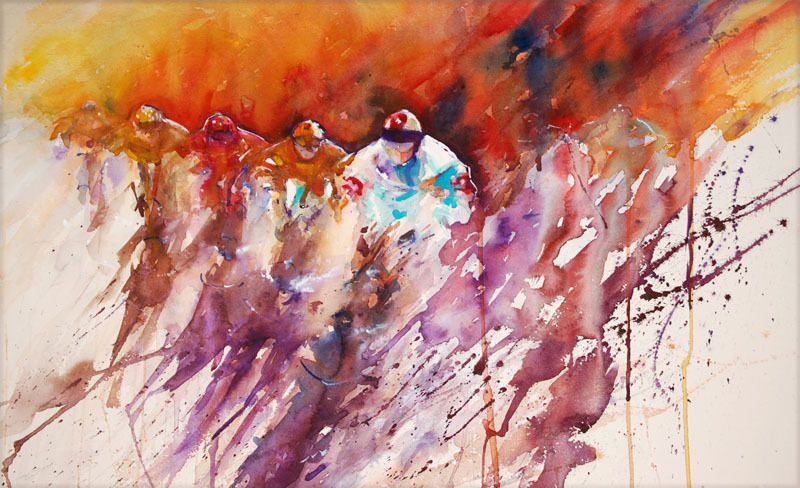 Cover of "How to Paint Colour and Light in Watercolour"
A new watercolour of horse racing can be seen at the Wey Gallery in Godalming. 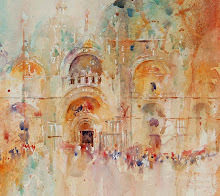 A fabulous gallery with a fine collection of art,.well worth a visit. "We have brand new Original Silkscreens by the highly collectable Barbara Rae CBE, RA and Sir Peter Blake RA along with the cool and iconic images of Frank Keily and Ray Richardson. We are also delighted to be showing a new collection by Joseph Silcott who has charmed everyone with his beautiful butterfly original collages. 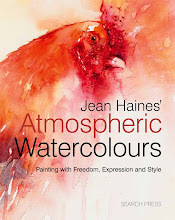 For the animal lovers we have the stunning watercolours of Jean Haines SWA with her totally unique collection of sheep along with new limited edition cows with a humorous edge by the highly acclaimed Paul James. We are also delighted to include several new artists to the Wey Gallery: Katie Spong, whose work captures the power and energy of British wildlife, stunning Landscapes by Graham Hurd-Wood, the timeless panaramic views of Felicity Keefe and the dramatic sea and landscapes of Jane Skingley"
What is it about this time of year that sets most of us thinking about where we are in our lives and where we are going? Or is that just me! I am looking back at an incredible year and wondering how on earth so much has happened in it. I started 2010 with wonderfully exciting news of being a finalist in the David Shepherd "Wildlife Artist of the Year" Exhibition at the Mall Galleries in London with a painting of an elephant and strangely enough I may be ending 2010 on the same theme! 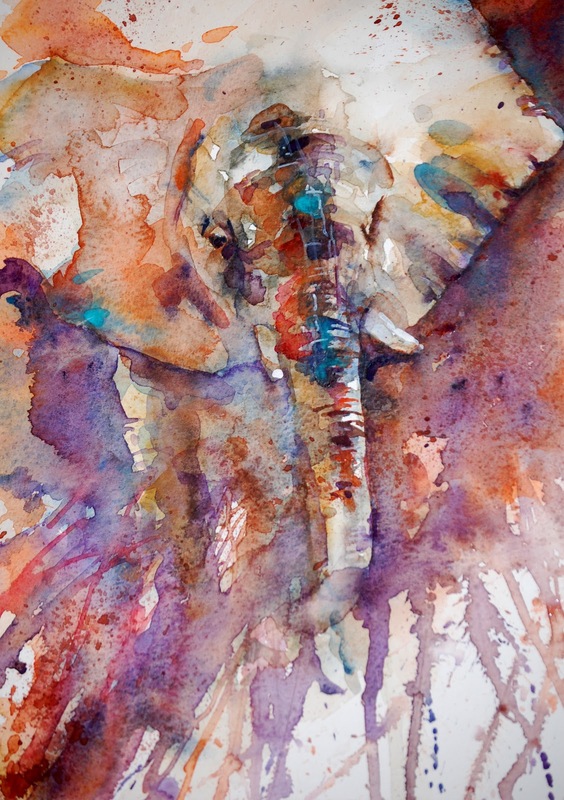 I am painting elephants again for a gallery. 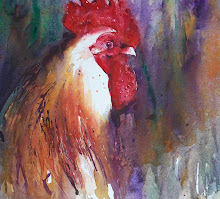 Having just returned from South Africa I am drawm to wonderful subjects that give me the feeling of being back there even if it is just via my paintbrush. I truly have had such a fabulous year. At times I cannot take in all that has happened from my book launch again at the Mall Galleries in London to becoming a full member of the SWA, Society of Women Artists. I now have major projects coming my way for 2011 and 2012. My head is spinning from so many wonderful events to look forward to next year. So much so that I am finding it hard to focus on Christmas but I must as presents and gifts for family and friends need wrapping. I have been asked what I would like for Christmas. I honestly don't want anything at all because this year has felt like Christmas all the way through. Theres been non stop excitement and happy events, one following the other with amazing email messages and phone calls offering me brilliant new opportunities. I couldn't ask for a single thing. Not for me, anyway. So instead of wishing for something for myself I would like to wrap up all the love and happy experiences I have been given so that others may have the very best of times this Christmas instead. And an even more fantastic 2011 to follow. That would make me the happiest person in the world if everyone around me could feel as happy as I do! I am listening to friends complaining about writing Christmas Cards. The same words are mentioned repeatedly. How long it takes to write them and how busy everyone is. This morning I sat quietly signing the hundreth card with more to still write messages on. I have even had to order extra as I underestimated how our friendships have grown over the years. I look at the Christmas list with names of friends we have known for years. Many live far away in distant lands. We only catch up in person occasionally because of the travelling involved to see each other. Each name brings back such happy memories of when we lived abroad in Asia and Dubai. Of my time living in France where I met such incredble friends who almost adopted me and made me a part of their families and way of life. I have friends from before I was married and friends since then. My art journey has led me into a world where I exchange ideas constantly with those who are as passionate about art as I am. I have galleries who have supported me from when I first started painting to the new ones who have taken me on as an emerging artist. My life is very full and I know I am very blessed which is why I sign each card with a beaming smile. Yes for now I am not painting as often as I usually do. I am taking time out to let people in my life know they mean so much to me. Without each card to send from my list I would be poorer in spirit. So while I sign my hundreth card and look at the pile yet to write I will not complain. Instead I will think of all the lonely people in the world who wish they too had to take so much time over a list of friends that seem to take forever to contact at this time of year. I will think of the poor who can't even afford a card to send or give to a loved one. I will think of those who will not savour the luxury of a Christmas as we know it. And I will especially think of those who have lost loved ones at this time of year. For them Christmas will never be the same. To everyone reading my blog, thank you so much for taking the time to be here. I do appreciate every one of you and even though I often fly through after posting a quick message I read every reply, every email and every warm wish. And I am grateful for each one. Life is so short. Far too short not to let people know you care. God Bless and please enjoy writing your Christmas cards. My blog has been a little quiet because I have just visited Bruges for a Christmas visit.. 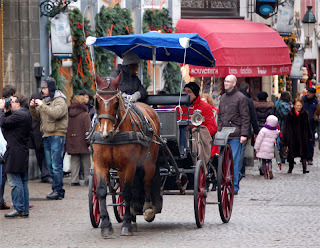 The architecture is so beautiful and the atmosphere full of cheer as tourists and locals mingle in the Christmas Market places. It was a welcome break but my mind as ever was always inspired by my surroundings. I cannot wait to capture the charm of this amazing town in watercolour. Especially the horse drawn carriages. 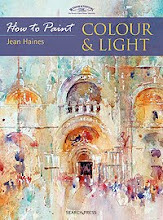 I love all the wonderful emails I am receiving regarding my book " How to Paint Colour and Light in Watercolour" and recent appearance on TV. I am now working on my second book and projects for next year which will keep me very firmly and happily creating in my studio. Several galleries have contacted me recently. Favourite subjects seem to be taking a life of their own which again is very wonderful. Considering I was once known for painting faces and camels when I lived in Dubai it is amazing how my new area of subject matter has evolved but it isn't surprising that I love painting movement. In Dubai I would spend hours watching the camel races there, loving the sound as well as the sight of action. We also owned a race horse at that time. Standing in the owners enclosure and watching the horses as they sped around the track became a thrilling experience. Nothing beats painting from life or the feeling of trying to re capture a thrilling moment in your life. From the Original watercolour "Catching Up"
The Christmas issue of the Artist and Illustrators magazine is filled with information and incredible features so if you haven't a copy please find one before it is too late! For those living in UK near Godalming you can see work by Sir Peter Blake RA at The Wey Gallery in Godalming where I am also showing a collection of watercolours which can be viewed via this link. 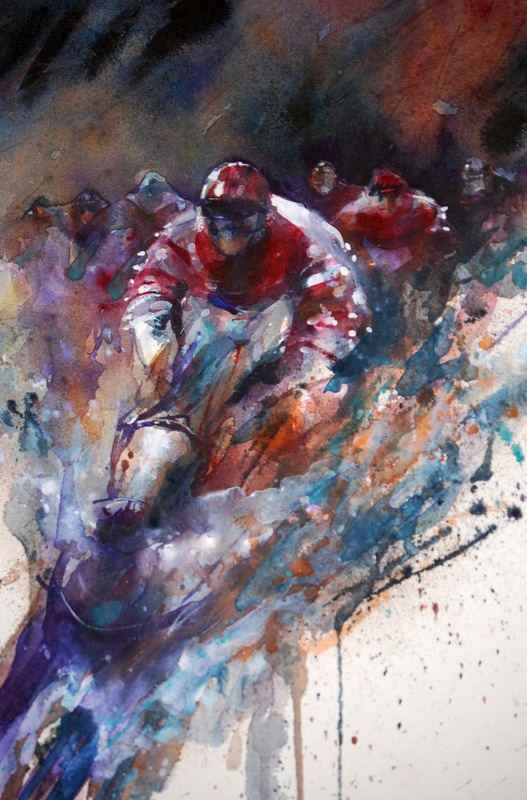 For anyone interested in my horse racing scenes an exciting new painting will be delivered shortly and it is the latest that I have been currently working on. Look out for the January issue which will be available soon as I have a new masterclass feature in it sharing techniques again. This follows my previous masterclass feature in an issue earlier this year. Here you will see me experimenting with Daniel Smith Watercolours. It is the first time I have written about them in a magazine sharing favourite shades from their range which I have experimented with. I am writing my second book and getting lost in so many wonderful new exciting sections. Last night I could hardly wait for morning to come to work further on an experiment with darks in a new collection of watercolours. Every professional artist must look back and see moments when they knew they were evolving or turning a corner.This is such a moment. It's almost as though someone has turned a light on in my head. I want to scream "Eureka" and yell from the roof tops that I have discovered what I was looking for. And yet I still feel very much like a child in a candy store knowing there is far more to uncover in this incredible medium. I have been going to exhibitions for years as well as looking at art online and in doing so have become fascinated in the dark sections of many watercolour paintings. But I have been really unhappy when I work with neat pigment or heavy layers as the colours always without fail seem to appear as very flat. This is why when I demonstrate you will never see me use black shades, for example, for eyes in animals. I always use a variety of vibrant colour to depict a feeling of life. But now I want a sense of impact, drama and power in certain paintings. Layers of colour alone just weren't giving me what I wanted. I have spent hours playing with colour combinations, weeks and months studying pigment interaction and finally I have a result I am thrilled with. The technique is arduous, time consuming but so exciting when it all comes together. I am losing the granulation effect at times of certain pigments but the bold result from contrasts is amazing. I am so enthusiastic about the three paintings that are in my studio this week with amazing dark sections acting in complete contrast to the gentle soft watercolours I am so often known for. I will be writing well today! I feel so enthused but in my mind I already see where this experiment is leading me. I am well aware that the successful experiment of tomorrows dreams always far out wieghs the euphorious sensation of todays. 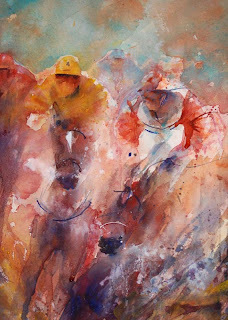 The Horse Racing scene above is entitled " Only One Winner". I feel this new chapter for my next book could be a winner too! In life as artists we all win each time we pick up a brush. Because the paintings that don't work as we expected them too lead us to the paintings that do. Only by consistently loving what we do can we have days like this and when we do they are so worth the wait! Painting robins is now a bug that has hit me. I started painting a robin yesterday after watching the tame one that visits our garden daily.While our cottage was being renovated this cheeky little character would daily take bread from the builders hands. Many deliberately brought special sandwich fillings that they knew he would enjoy. During that time it was so much fun coming here and listening to what "Rocky" as he soon became christened had been up to. When the cottage was complete Rocky had all but moved in. In fact we had to be very careful about leaving doors or windows open at first as he had decided he loved living here. Now Rocky will sit on the car door when you come home and eagerly appear when anyone walks into the garden as he is always hopeful he may get a treat. Rocky tempted by left over dog food in Baileys bowl. I have loved the wonderful poses on a number of objects that Rocky has delightfully given me over the last few days in the snow fall. He has sat on tree trunks, benches, plant pots, holly brances laden with red berries, watering cans. In fact he has given me a million ideas for paintings for Christmas cards. For now I will settle with this classic. A fluffed up robin on a log! Robin appearing from the initial brushtrokes and colour placement. It has started. That wonderful feeling of Christmas being around the corner. The anticipation of sharing days with family and friends.Thinking about the preparation necessary to make the weeks ahead special for all I know. I love it! Every year I face the same dilema. I need to paint for galleries, features and charity cards. My own Christmas card design is always at the bottom of the list waiting to be fitted in and I am always given hints of what the subject should be. Two years ago I painted our a scene of our cottage as it was in its' original state. Last year I knew in my heart it could be Taffy, our gorgeous Bearded Collies last Christmas with us. I chose to paint him in a Santa hat to make everyone smile. This year I think everyone has been expecting a cockerel with a santa hat on from me! But I have been followed by a cheeky robin everywhere in our garden. It sits on the car door when you open it as you arrive home each day. It eagerly follows me when I feed the ducks and I always find something to give him. He has become a family friend. 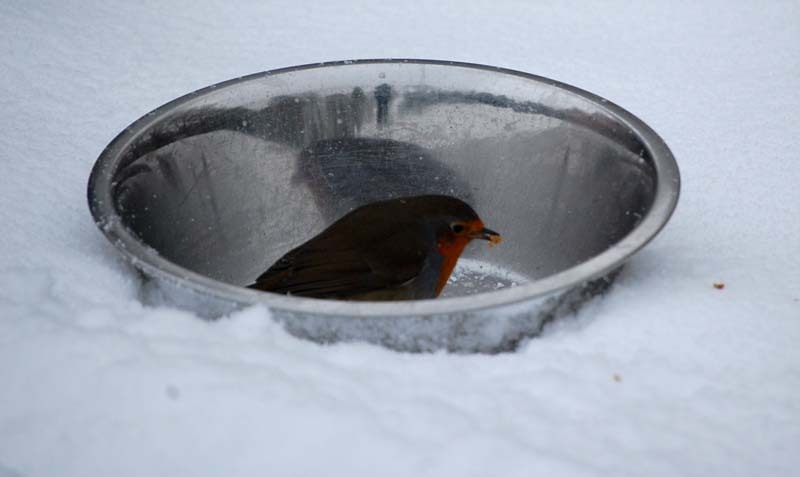 This morning sat in snow outside my window "Rocky" Robin looked fluffy and round. He leaned forwards as if to see if I was making my way to the door to feed him. His pose was so cute against a misty snowy background. I found myself immersed in capturing his tiny expression and beady eye that shone full of life and expectancy. He makes a wonderful subject and as I am determined to paint with red shades this week he fits into my schedule beautifully! At this time of year so many of us look forward to Christmas. Surprises are around every corner as we open cards from friends and gift shop for special loved ones. I found myself realizing to the artist it almost feels as though it is Christmas every single day. 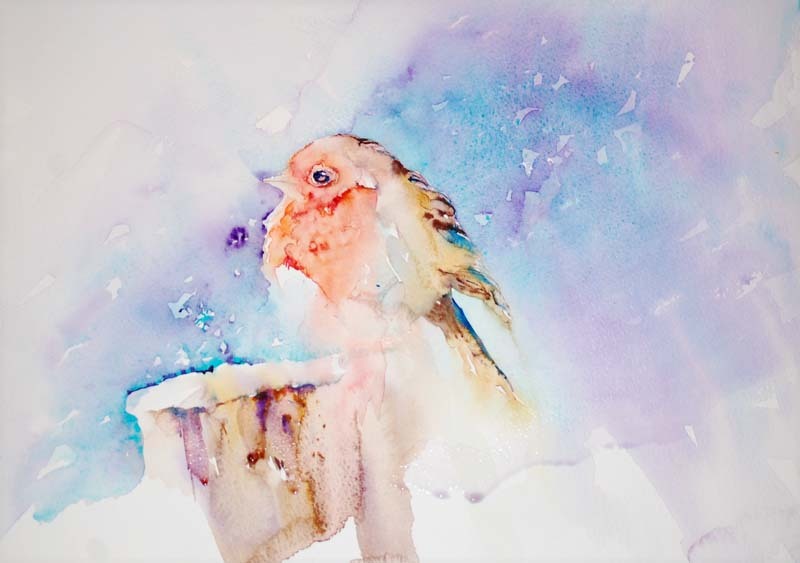 We face white sheets of paper on which gorgeous surprises in vibrant colour occur in watercolour. At the beginning of a painting our hopes are like looking at an unopened present. We have no idea what the gift inside will be and our anticipation is high. To remove the wrapping in one way removes all the excitement. The build up to imagining what is inside is so pleasurable. Once we know what is inside as much as we love the present all the anticipation and precious feeling of excitement has gone. For me a half finished painting is just like that unopened present. Something full of hope with the added joy of looking forward to the outcome from unwrapping it. We are so lucky to feel such passion when we work with colour and brushstrokes. We have the ability to create happiness for ourselves and others around us. And how wonderful that life can be! Never paint a moving subject. More importantly don't expect a non moving subject with four legs to sit still for long and pose for you! Our Ginger male cat has become totally mesmerised with watching birds fly in and out of a bird box we placed on our cottage wall when we fist moved in last Srping. It hasn't been occupied until now. From our window we have a clear view of little winged beings flitting in and out on an almost hourly basis. Buster sits and stares longingly with huge green eyes. His expression seems more of disappointment in that they are too high for him to catch even if he was outside. This was our intention when we placed the little bird house safely out of his way. His eyes are either absolutely wide open like saucers or narrow as in almond shaped slits. He turns to study me now and then with an expression I think I would rather not try to work out! On these occasions trying to simply catch his pose and character in mid day sunlight is so tempting. It doesn't matter if I have a finished painting or not.The information from these moments lead to far better results when I paint from photographs or memory later on. I am on a mission to make my work as life like as possible. I want excitement,emotional impact and vibrant fusions of colour in every single piece. I don't want any to look similar.Which means I am constantly on adventures into exploring new techniques and ways to paint familiar sights. Having said that this quick study from yesterday really looks wonderful in my studio this morning. I wonder if Buster will pose again for me at mid day? It would be so great to finish this from life rather than my imagination! 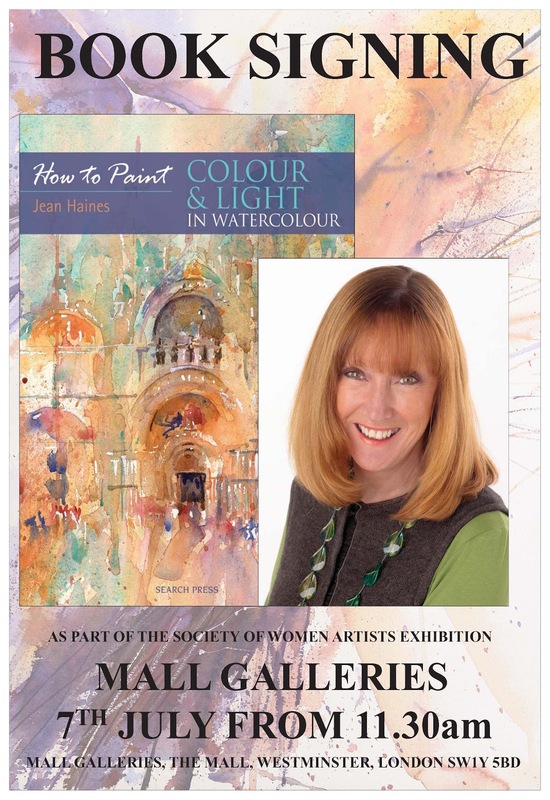 Please contact me directly for full information on my watercolour sessions next year.There are now only a few places available for one day workshops but a new two day seminar will become available shortly. This will be suitable for artists travelling from abroad as it will be held in a wonderful hotel in gorgeous Hampshire countryside. Places however are stricly limited and it is only going to take place twice next year. More news on this later. Having returned from South Africa this week it has been so wonderful to hear from galleries who showcase my watercolours. I need to complete new collections for 2011 and as many subjects have sold out I find myself wishing I had more time. 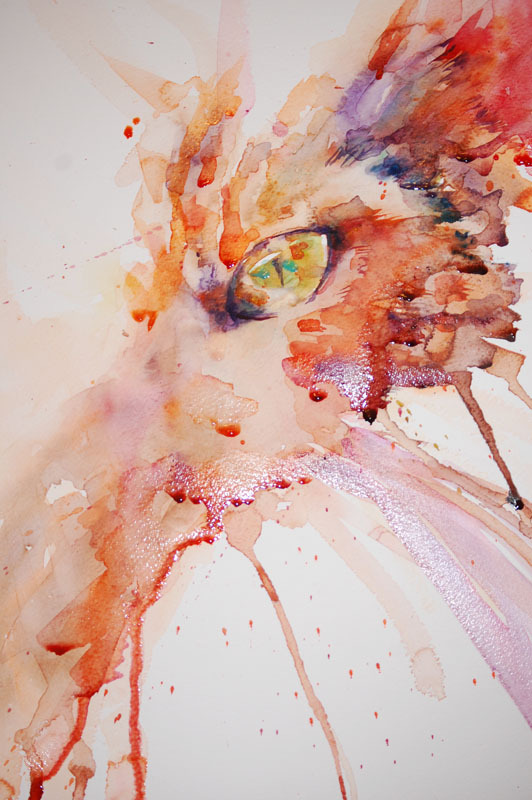 My cat paintings all have new homes and there are no more in my studio. Even I don't own one now as my last piece for sale was from my private collection. I was asked recently what my best selling subjects were. 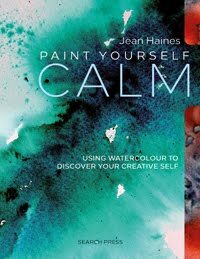 I honestly don't have one because I believe it is the colour and energy in the brushstrokes that somehow seem to appeal. This morning as I look out of my studio window I am surrounded by beautiful countryside covered in a blanket of white snow. I see white everywhere. 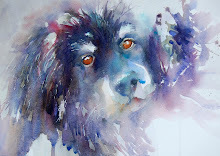 My young Bearded Collie, Bailey is sat by my side eagerly wishing for me to put my brushes down and take him for a walk. 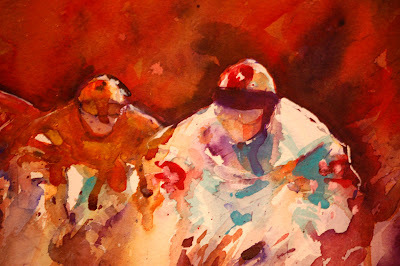 Before I do I mentally warm my artists soul with brilliant vibrant reds as seen in this bold background of a new horse racing scene. Because while I walk and take in the freezing surroundings and blue, cold, icy shades in my mind I can easily skip back into a warm hot studio with reds and golds making all my subjects burst into life in the most energetic of ways. Today is a day to paint in red. Poppies, Cockerels, Tomatoes, Roses and many more HOT subjects. 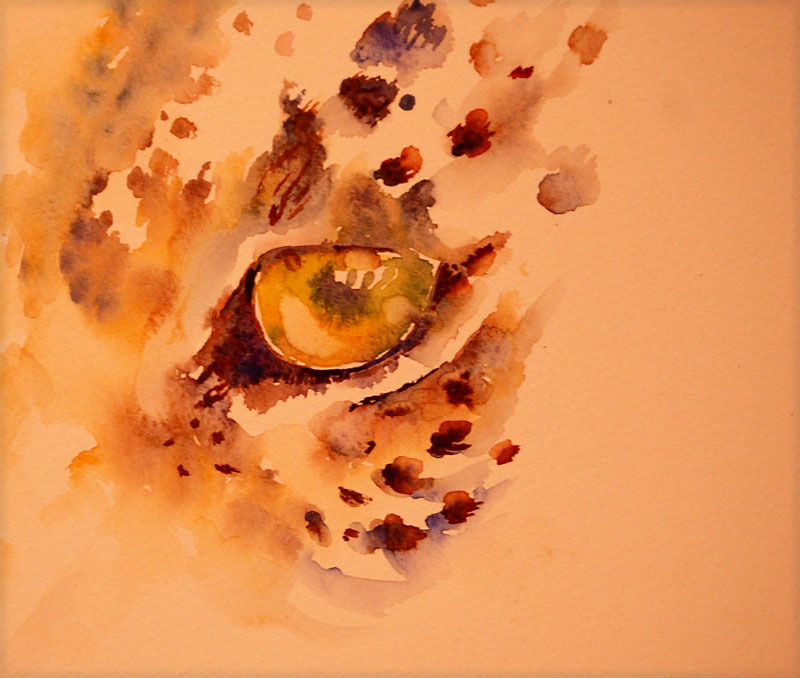 Playing with ideas for a painting of a leopard. During my stay in South Africa I enjoyed trying to caapture colour and light for a variety of subjects. All artists appreciate painting moving subjects can be difficult if not impossible at times. So aiming to paint a small section well is wiser than trying to paint the whole animal. These collections of small studies can often lead to far more successful results when painting from a photograph of the same subject at a later stage in the peaceful surroundings of a studio. 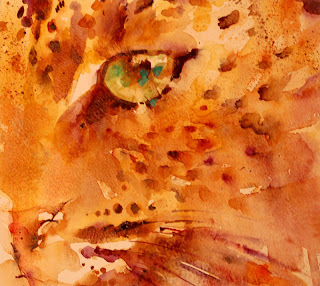 I looked closely at eyes of a number of animals and also concentrated on their expression. 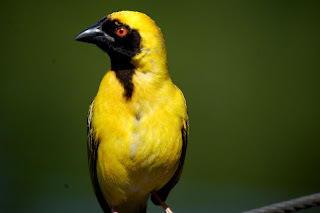 Wariness, uncertainty and always a constant sense of being vigilant was evident in most of the creatures that live in the wild fighting for survival. The haze of the heat often confused the eye into what you can and cannot really see. This affected my selection and placement of colour greatly. 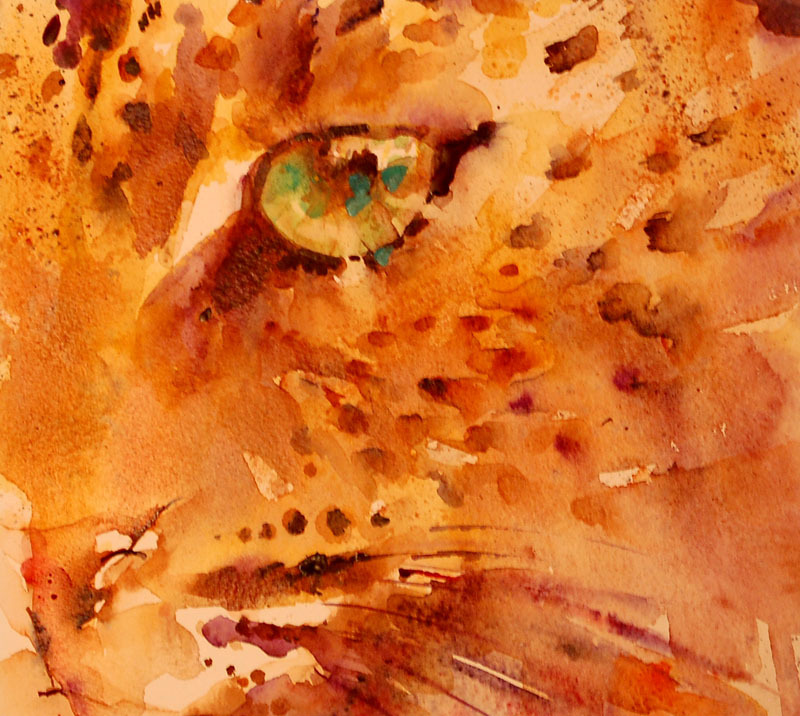 "Building Up the Face Section but minus the final detail"
Sitting with Cheetah, touching their fur gently, studying their actions and behaviour really has given me an insight into how I wish to portray big cats in my watercolours. 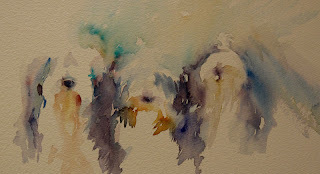 What frightens me most of all isn't aiming for a successful painting and then not being happy with the result. My biggest fear is that one day all we will have is photographs and paintings of beautiful creatures that once roamed this planet freely. Creatures who are at risk of disappearing forever. The thought really is very hard to come to terms with. I hate seeing any animal in a cage. I always have and so when I visited a vineyard in South Africa at first I was saddened to see beautiful cheetah in caged surroundings. So much so that I left without even going further into the sanctuary. I hadn't understood the importance of an ongoing project or why it was there. Having discussed the centre with colleagues who live in the area I returned to learn more. The following information from the "Outreach" web site explains a little about the current situation. I cannot imagine trying to tell my grandchildren or having them tell their own children in the future why such gorgeous creatures could become extinct. It took 4 million years of evolution for the cheetah to become the exceptional animal it is today and only 100 years for man to place it on the endangered list. Now the fastest land animal in the world is losing its most important race: the race for survival. At the turn of the 20th century, an estimated 100,000 cheetahs lived throughout Africa and in parts of the Middle East and Central Asia. 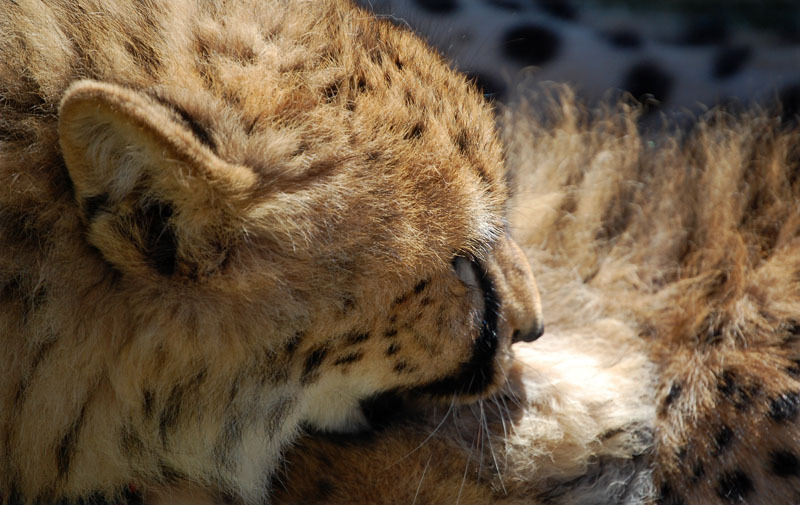 Today there are just 7,500 cheetahs left and South Africa is home to fewer than 1,000 of these majestic cats. Cheetah Outreach is an education and community-based programme created to raise awareness of the plight of the cheetah and to campaign for its survival. Founder Annie Beckhelling launched the project in January 1997 with just one hectare of land proved by Spier Wine Estate and two cheetahs. Having been away in South Africa on my return home as always I have found my email inbox absolutely full of wonderful messages. Many were requesting places on my 2011 Watercolour Workshops .Then there was communication regarding the BBC programme " Show Me The Monet", wonderful emails from galleries and amongst these was one refering to my blog. 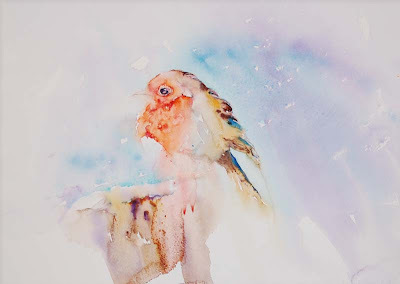 I was so surprised and delighted to read the message as I have been listed among the fifty best blogs for watercolour artists. Thank you so much Corinne for informing me that my blog is amongst the top 50. I feel very flattered, privileged and honoured to be included along side such fantastic artists and fabulous blogs. "Watercolor artists have a tight-knit community of talented, ambitious and inspirational individuals. 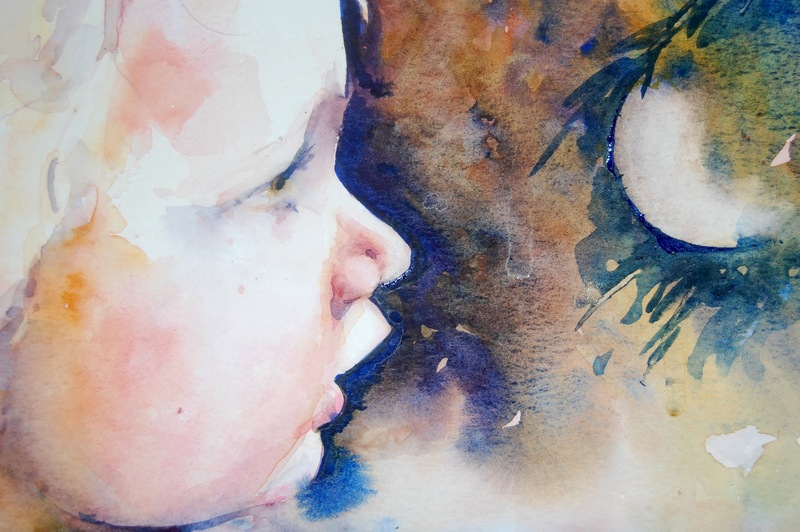 With the use of blogs, watercolor artists can share their work and kindly critique each other, as well as exchange insider tips and business strategies. For those who want to expand their knowledge, improve their skills and get their art into galleries, here are the 50 best blogs for watercolor artists"
Thank you so much to everyone who follows and reads my blog. And thank you so much for all the kind emails telling me how much it is enjoyed. While I was away I was contacted regarding a TV show in UK called " Show Me the Monet" . I agreed to forward the information to as many artists as I can so here it is! Artists from UK are being invited to submit paintings which will be selected for an exhibition which will take place in London next year. I have been unable to get online until now and the deadline is this Sunday. This is open to artists of all levels and could be a wonderful way to gain the exposure you would love to have but until now have only dreamed of. Good luck to all artists submitting and I will definitely be going to the show! BBC 2 has commissioned a new 10-part art series called 'Show Me The Monet' (working title). We would like artists from across the nation to submit their art to us - whether you have publicly displayed any of your work before or not, whether you have ever sold any of your work before or not, we want to see it! This could be your chance to get your art seen not just by some very prominent members of the art world but also by the nation… and it could be the first step on the road to recognition and success for you. Our Hanging Committee (a panel of three renowned art experts) is searching for great art from both amateurs and professionals alike. Anyone can enter as long as you submit your own personal work of art. It could be a painting, a sculpture, a photograph, a drawing, a ceramic - as long as you have created it yourself, you can enter it . The Hanging Committee needs great art to put into a new exhibition where members of the art establishment, together with members of the public, can view and buy the work that is selected. All the work at the exhibition will have a guide price attached but will be offered for sale by 'blind bid' - meaning that potential buyers will not know what anyone else has bid until the sale is over! How to enter: take a photo of your best piece of work , download the application form and fill it in, find a photo of yourself and send the photos and application form to the email address. Submission closing date: 23:59 on Sunday 5th December 2010 "
A youthful group singing and dancing at the vineyard. Wouldn't it be wonderful if you could go on holiday and have all the arrangements made beforehand so that you can be given advise on what to see, where to eat and what not to miss. And be able to paint also! 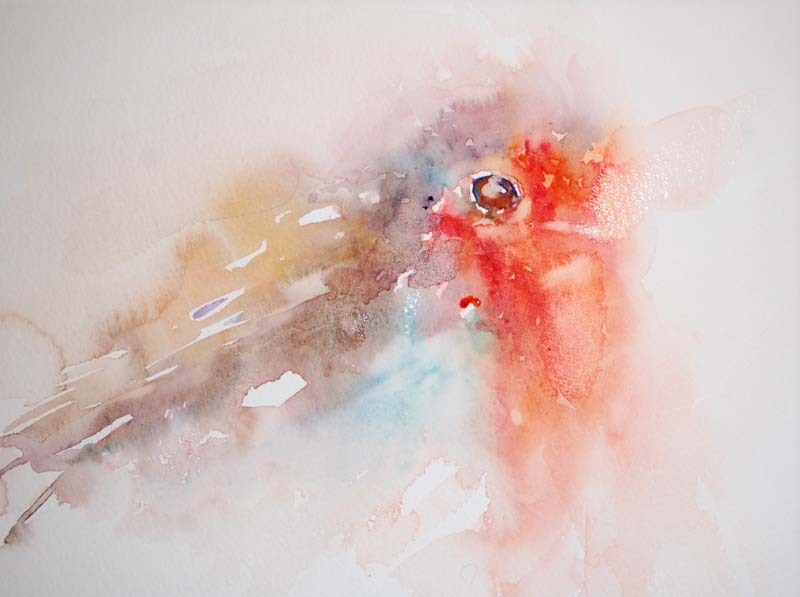 This week I had meetings in South Africa regarding a Watercolour Experience proposed to take place there next year. The location is just outside Capetown in the wonderful wine region of Franschhoek and will take place in a vineyard well known for its wonderful wines. We will be staying in charming white washed houses set amongst stunning mountain scenery. 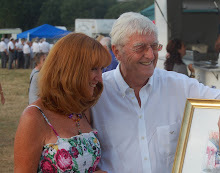 A welcome evening is to take place on arrival to get to know all the artists attending and this will be the first opportunity to taste the excellent wine from the vineyard. This will be followed by three workshops each on differing subjects. Daily demonstrations will be followed by free time to paint as well as tour the area. A few added surprises may be expected! An African evening will be our farewell party at a restaurant with dancers and singers to entertain us in the true spirit of Africa. 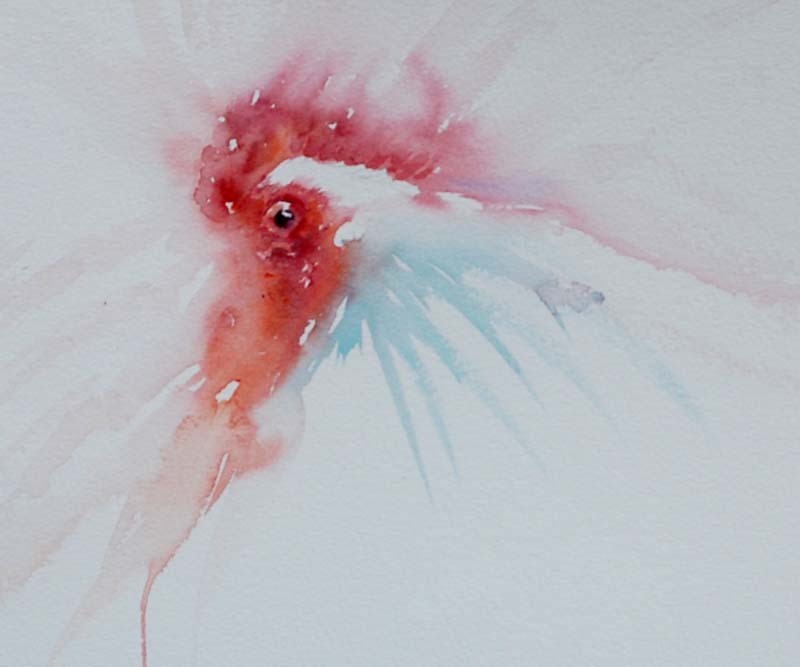 There will be opportunities to see wildlife and natural flowers of the region which are all so delightful to paint. 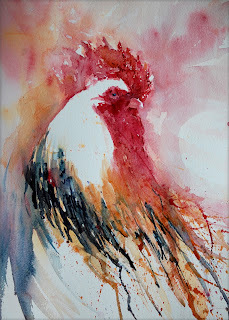 Observing colour from nature and bringing it into paintings that sing with life and excitement. The food in the region is wonderful, the people are so friendly and colour here is absolutely gorgeously tempting to the artists eye. At the moment I am liasing with a contact regarding the proposed package but there will only be twelve places available. There is plenty for non painting partners to do and I feel this will be a painting/ holiday of a lifetime. If you have never been to South Africa before this is a terrific opportunity to see the sights and paint during your stay. So many wonderful people are offering help to make sure everyone coming has a terrific time. 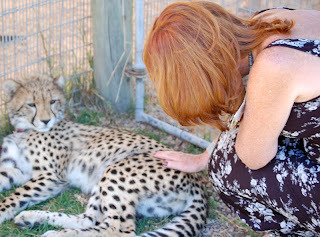 My blog has been quiet as I have been away in South Africa on a wonderful trip. I can't begin to explain the sense of excitemnt in racing for my brushes having seen such glorious colour and light there.On arrival a huge Jacaranda tree stood immediately outside the whitewashed walls of the house we were staying in. Each day I marvelled at its colour knowing no flower in UK matches this perfectly. As is my way I made a few studies of the flower shapes and colours I could see whilst sat in bright sunlight. These colours will guide me in my work when I later paint from photographs in my studio at home. Working from a photograph alone I never feel I can truly capture the spirit of what I see in real life. 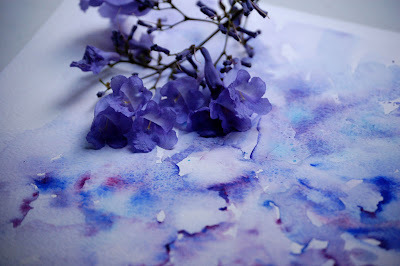 This technique and painting tip brings my memory home with me more accurately. I had initially considered a watercolour workshop there this year but my work load recently has been so great that I began to come to terms with the fact that I needed food for my own artists soul. A break with just time to relax and study colour and light in a new location. I have had such a wonderful time and seen so many new subjects which I am dying to share. The sights, food, people and sounds every where we went were all stunning. And the good news is that I now have a programme for a workshop to be scheduled into my diary in South Africa next year which I will share on my next entry!